Are you longing for length? Have you tried the usual topical growth aids only to be disappointed? Are you looking for more holistic or healthy solutions to rapid hair growth? Well, you are not alone! 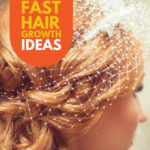 For healthy hair care and fast hair growth options check out these ten excellent resources for growing long and healthy hair using proper hair care with organic hair products, a healthy diet, vitamins, supplements, and other natural goodies! 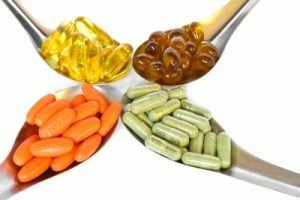 Learn which vitamins can grow your hair faster and how! Want to stop or prevent hair loss? Discover 15 sure-fire solutions to put a cease to annoying strands of hair all over your bathroom floor, clothes, and shower drain. Discover the very best foods to eat to get a long, shiny mane. A review of 6 different hair growth supplements and how well they worked for one hair care expert. Join this hair growth challenge to learn how to build a hair care regimen that works for you! A natural approach to growing your hair longer and stronger. Find out how to use gelatin to boost your natural hair growth rate. Learn 8 awesome tips to grow your hair naturally (including which ingredients you should avoid in your hair care products). Tired of cutting away all your length to get rid of unsightly split ends? Learn how to manage your split ends so you can cut your hair less and enjoy more length! Improve your diet; improve your hair with healthy diet tips for longer hair. Alongside vitamins, hair care routines, and growth supplements – you might look into hair dyes to really nail the look you’re going for.